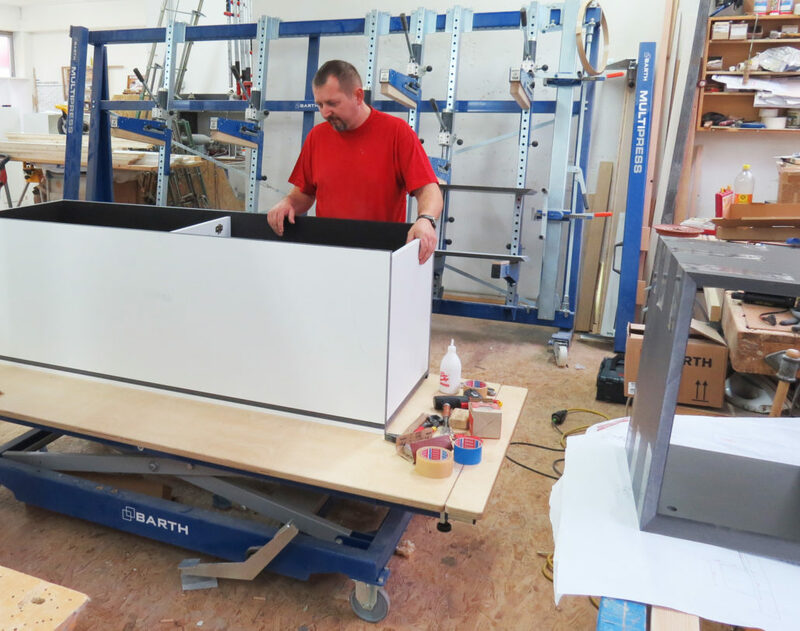 The application areas of BARTH lifting tables are extremely diverse. Studies in industry and trade show impressively how positively functionally ergonomically designed workplaces affect the economic success of the company and the job satisfaction of the employees. 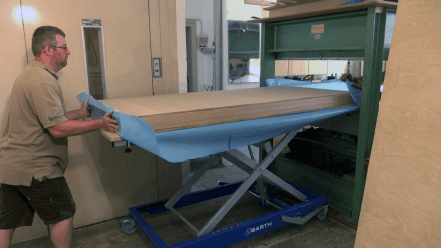 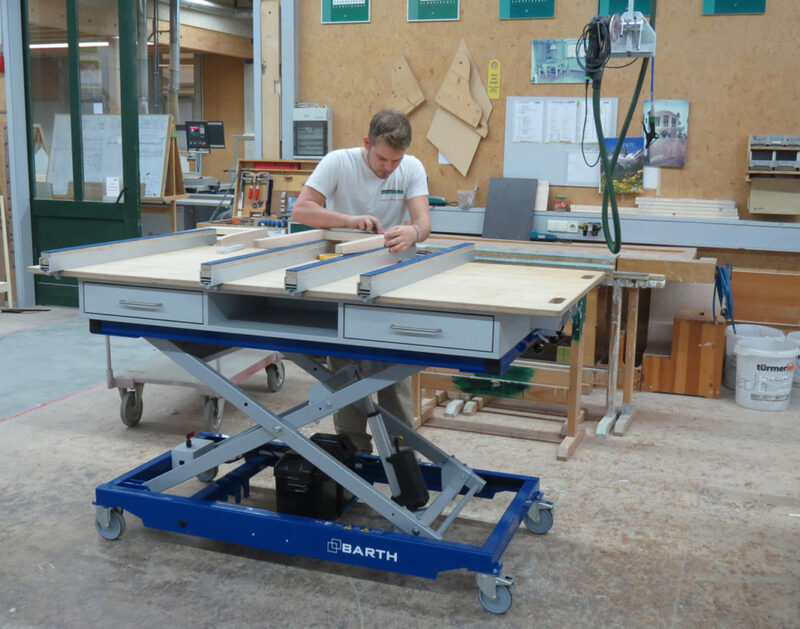 In the development of all BARTH lifting tables we attach importance to robust and highest quality as well as versatile application possibilities. Whether for veneer presses, grinding or assembly work, the mobile lifting tables are not only comfortable but also as flexible as you. The work surface is just as suitable for smaller mounts as material transport. 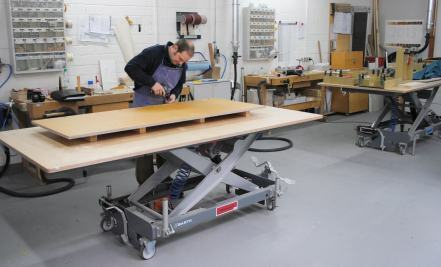 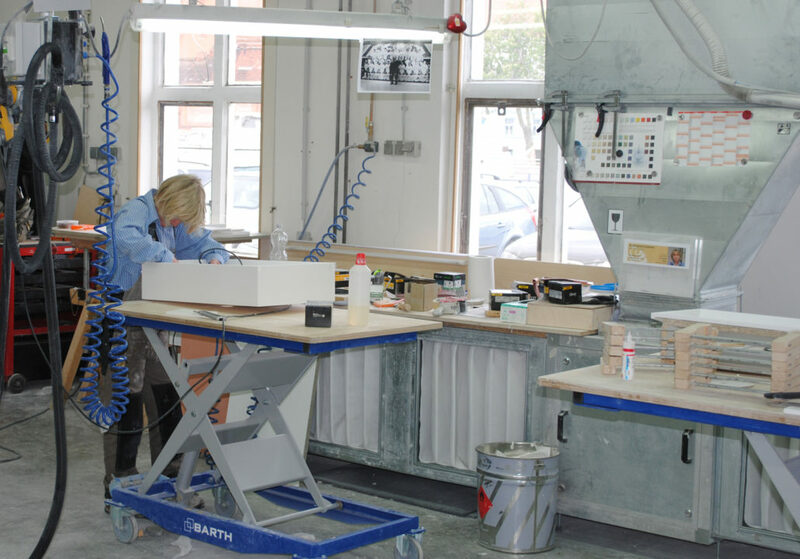 Glueing of drawers, finishing of surfaces or repair work can be performed at a comfortable height. 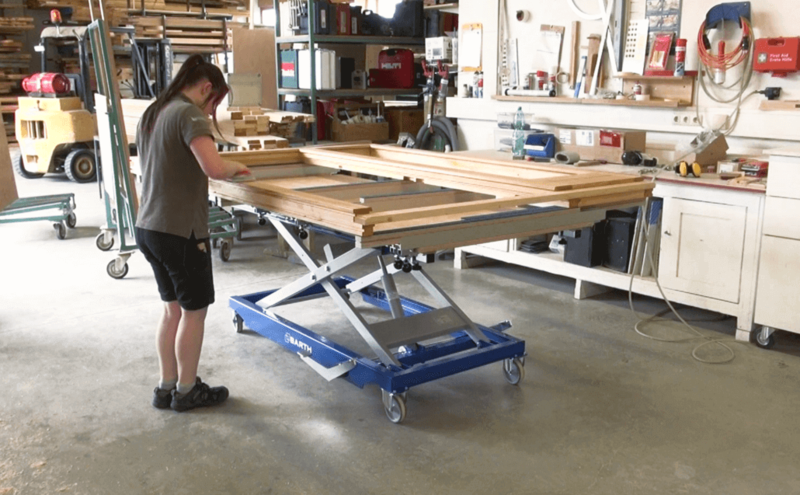 The H300 XL is ideal for loading machines. 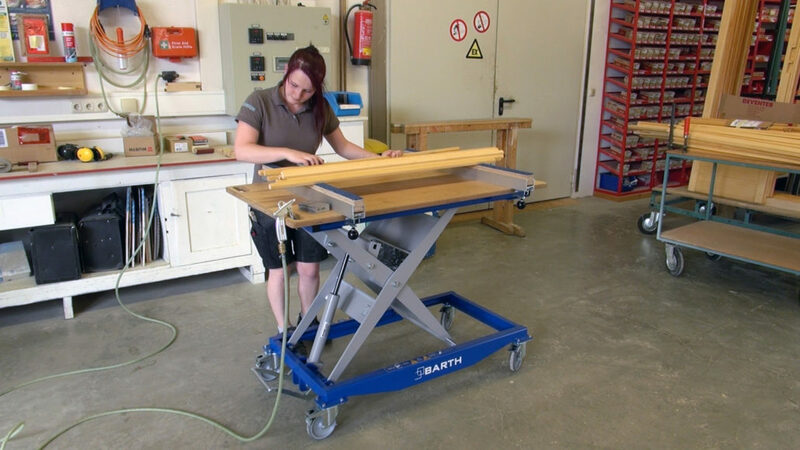 300 kg lifting capacity, a large working surface, the extensive height adjustment and the outstanding steering characteristics adapt the table to every machine and facilitate the handling of heavy parts and high quantities. 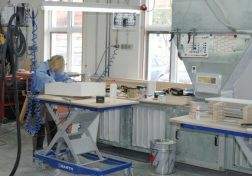 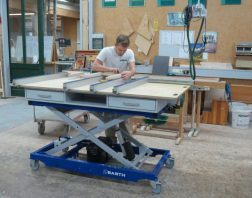 Additional drawer runners and longitudinal extensions increase the work surface when working on large workpieces such as window frames and door frames. 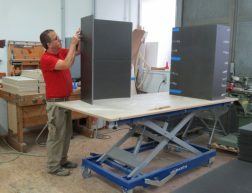 For installation work of carcasses, the large multiplex worktop in combination with the longitudinal extensions offers enough space for your workpiece as well as the tools required for the machining. The H500 is ideal for mounting heavy workpieces. 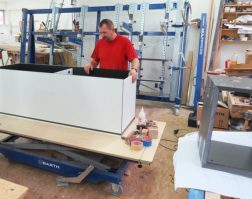 Its sturdy construction, the large work surface, as well as the wide-ranging adjustment range, give it a stable stand under heavy load. 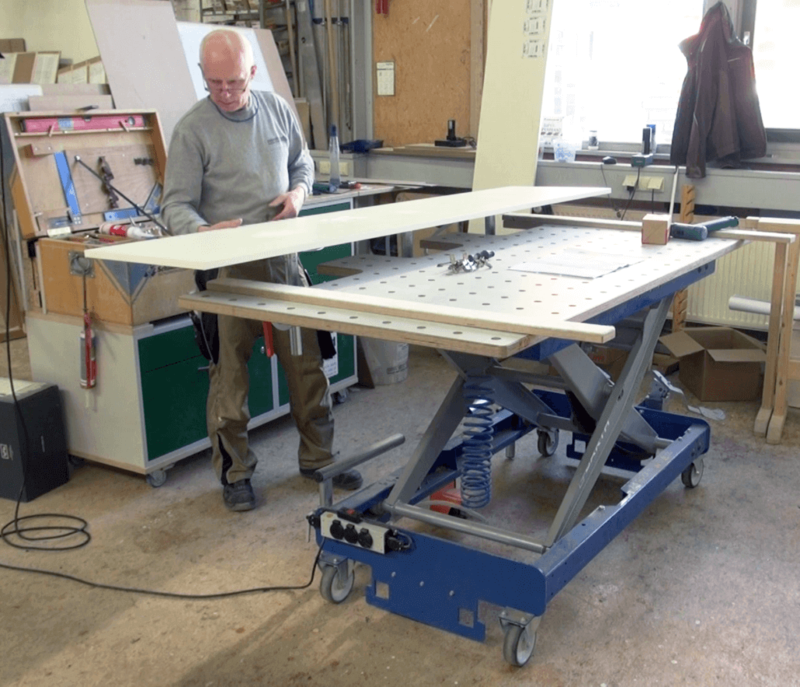 The wood-aluminum terminal strips with carpet cover make the H300 expandable to a manual workbench. A surface-protecting workpiece carrier is thus ensured, for example, for grinding work.